I keep coming back to this video as an example of sublime beauty and perfect ease in singing. It is amazing how sanguine and peaceful Barbara looks. Her shoulders and throat seem relaxed no matter what fiendishly difficult and lengthy passage she is singing, and her face seems completely at ease. Although I have been known to rail against YouTube commenters who ascribe all sorts of mental goings-on to singers (usually closely matching the commenters' own worldviews), I can see how focused Barbara is on the conductor, the interpretation, the music, the text. I found this charming video when preparing a post about "Prendi, per me sei libero" that was inspired by Renata Scotto's amazing video (which I was delighted to see being pushed around the web last week for La Scotto's birthday). Here is Barbara with Gösta Winbergh, whom I've featured here before, at Lausanne. I find this just as charming, in its own way. I could not fail to mention this amazing video of the Rosenkavalier trio, from a production at the Wiener Kammeroper, conducted by the great Carlos Kleiber, with Felicity Lott and Anne Sophie von Otter. I could go on and on, because there are videos and recordings in abundance, but I think this is a reasonably concise capsule of some of the many strengths of a legendary singer and artist. 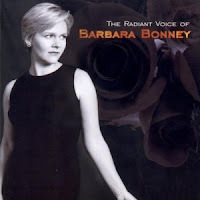 I love Barbara Bonney! That is all.